Don’t you always find it a dilemma as to what to do with Thanksgiving turkey leftovers? There’s turkey tetrazzini, turkey soup,and turkey croquettes to name a few. Too many decisions and too much work! So, I chose none of the afore-mentioned delicacies, gave the leftovers to the dog and made these! 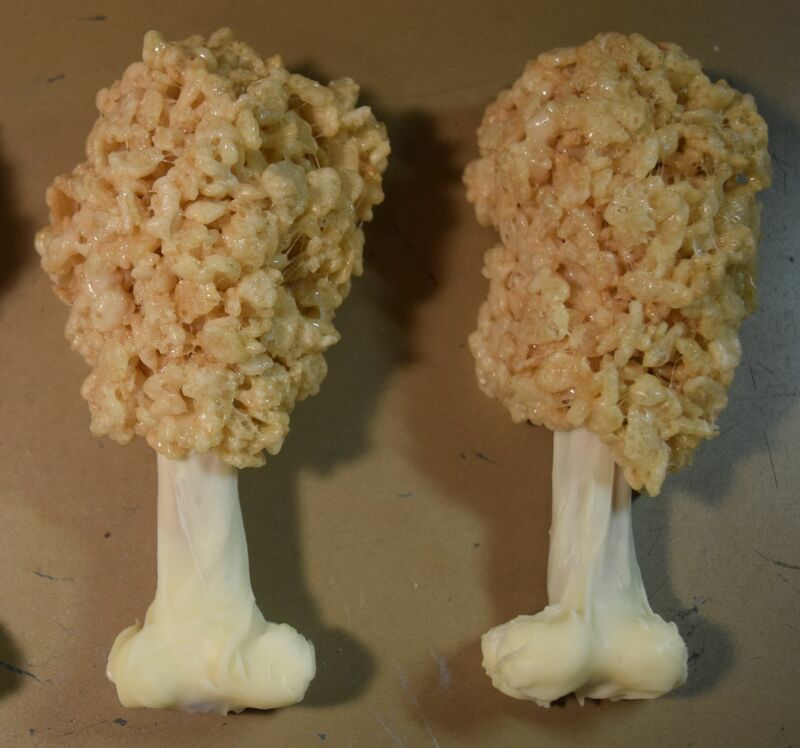 Rice Krispie Treat Turkey Legs! 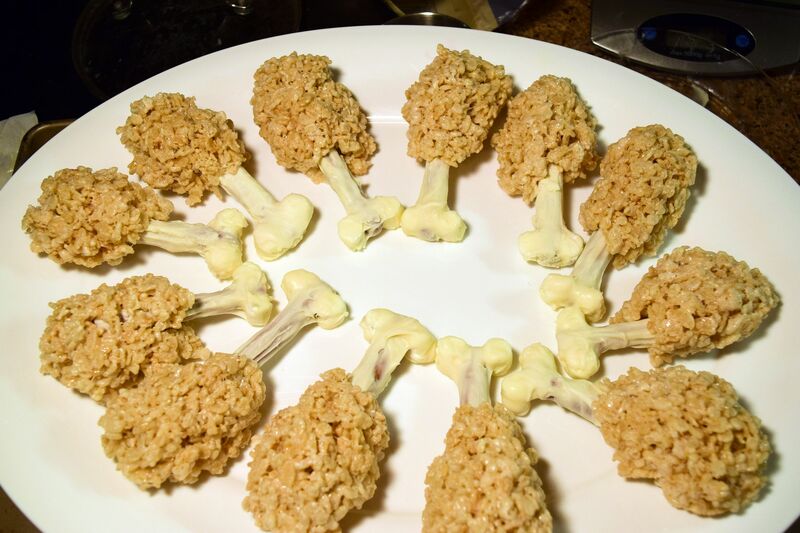 The kids cracked up when I served them and I must admit I like a good Rice Krispie Treat, too! They are easy to make. 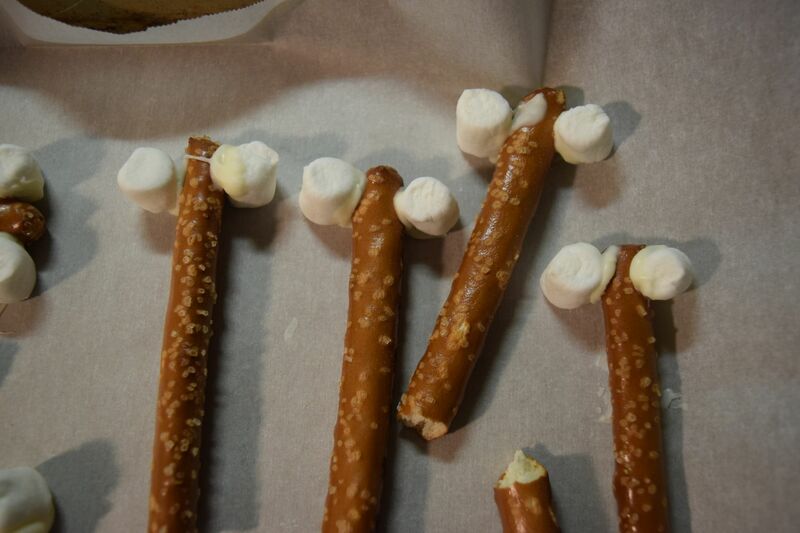 First take pretzel rods and cut or break them in half. On the unbroken end attach two miniature marshmallows using melted dipping chocolate. 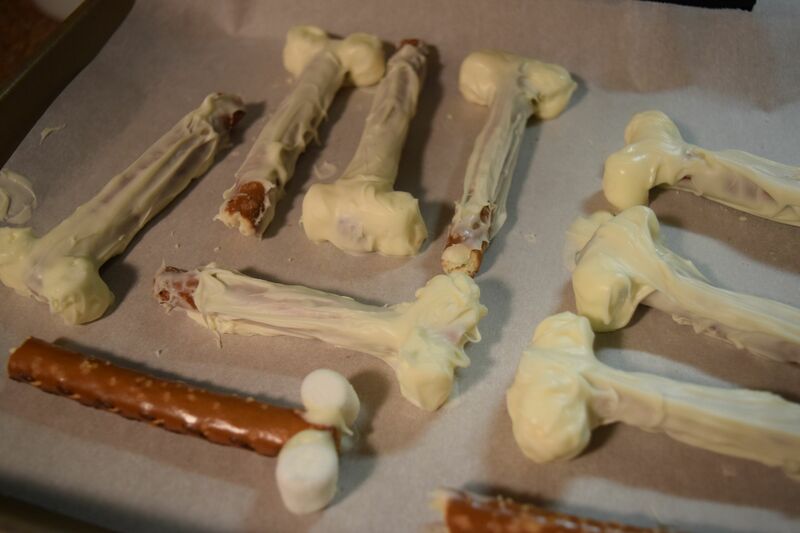 Next, hold onto the broken end and dip the rods into more melted white chocolate. Ghirardelli chocolate was the best. I first used a store brand and I could never get them smooth. I ran out of those chocolate wafers and used the Ghirardelli. It worked MUCH better. The ones you are seeing in the picture are the ones with the store brand chocolate so they are a bit bumpy and rough. Finally, make a batch of Rice Krispie Treats (Melt 3 tablespoons of butter with 10 ounces of marshmallows and add 6 cups Rice Krispies). Form the Rice Krispies around the broken end of the pretzel rods. Makes 12. So much fun and way better than real leftovers! I love these!! Not only are your kids cracking up but I am as well. I know what I’m making for our next gathering.